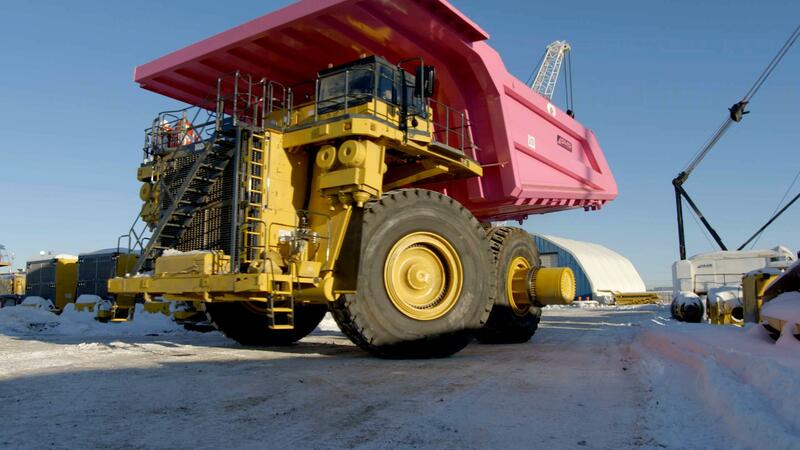 SMS Equipment Inc. and KMC Mining have partnered to make big statements in support of prostate cancer research, breast cancer research and mental health awareness – unusual, bright, giant, and mobile statements, in fact, that are intended to spark candid conversations. Two off-highway Komatsu truck boxes have been painted pink and blue and affixed with slogans supporting prostate cancer research, breast cancer research and mental health awareness. The message is deeply personal for many employees, including Brian Berkshire of SMS Equipment who was diagnosed with Padget’s disease, a form of breast cancer. KMC Mining and SMS Equipment are partnering on this initiative.